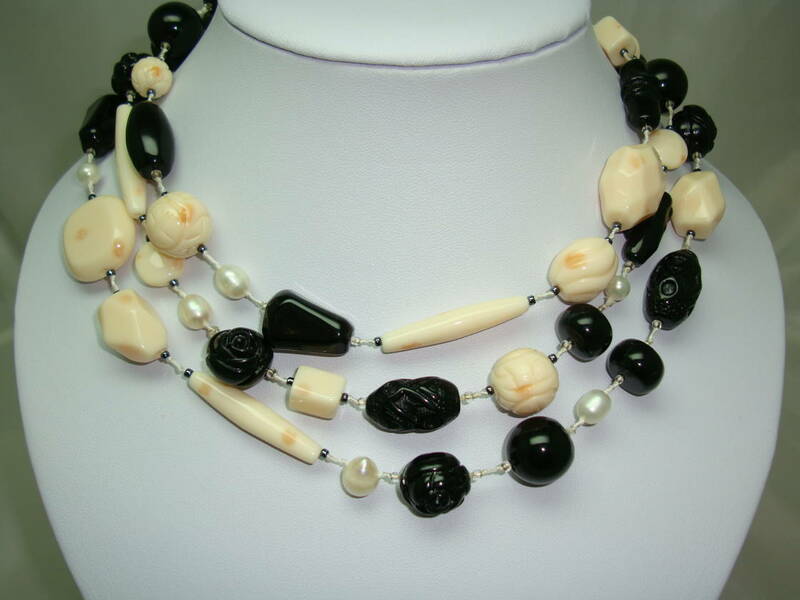 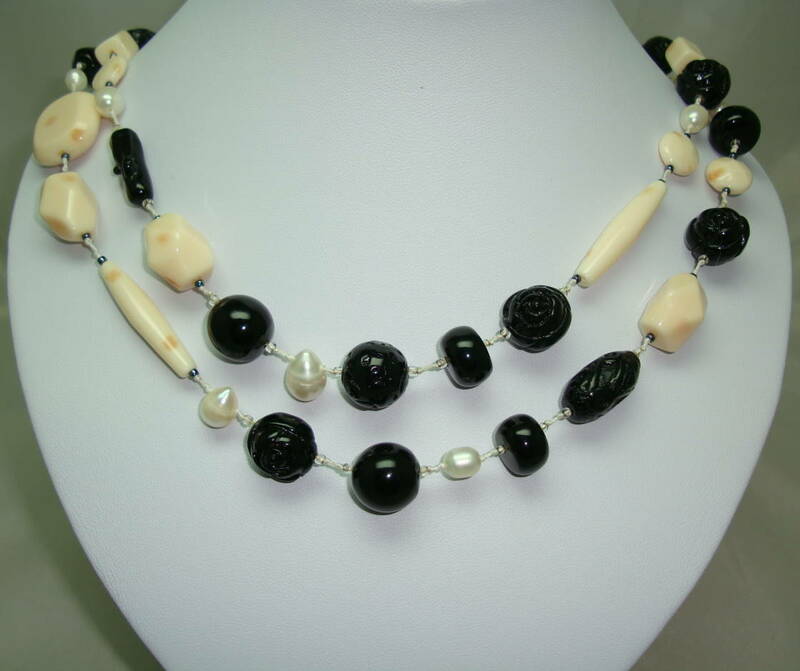 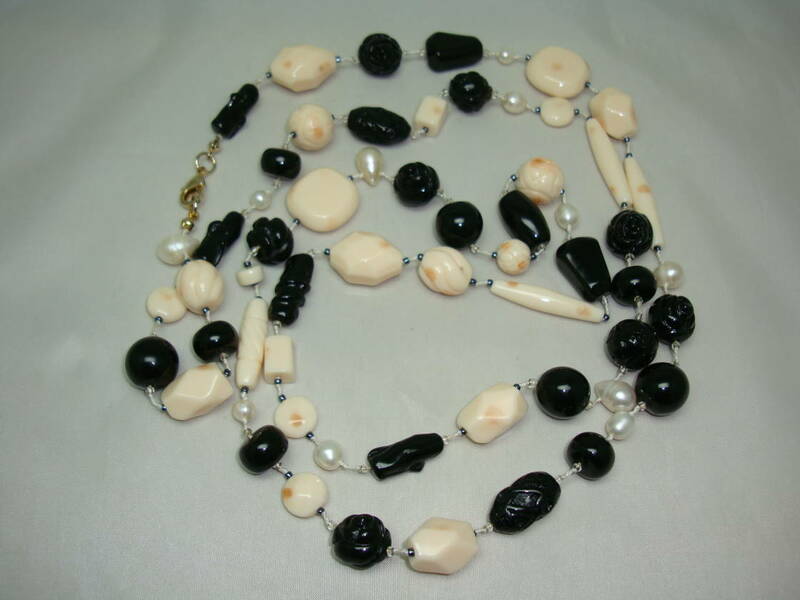 Black and Cream Rose Carved Lucite Bead Necklace with Cultured Pearls! 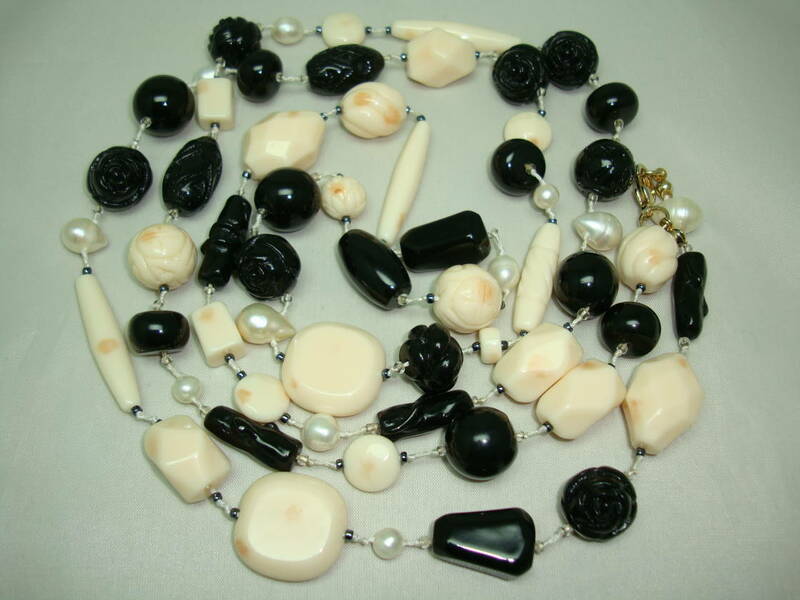 We are pleased to offer this beautiful black and cream carved lucite/plastic bead necklace consisting of various shapes, including a pretty cared rose shape. 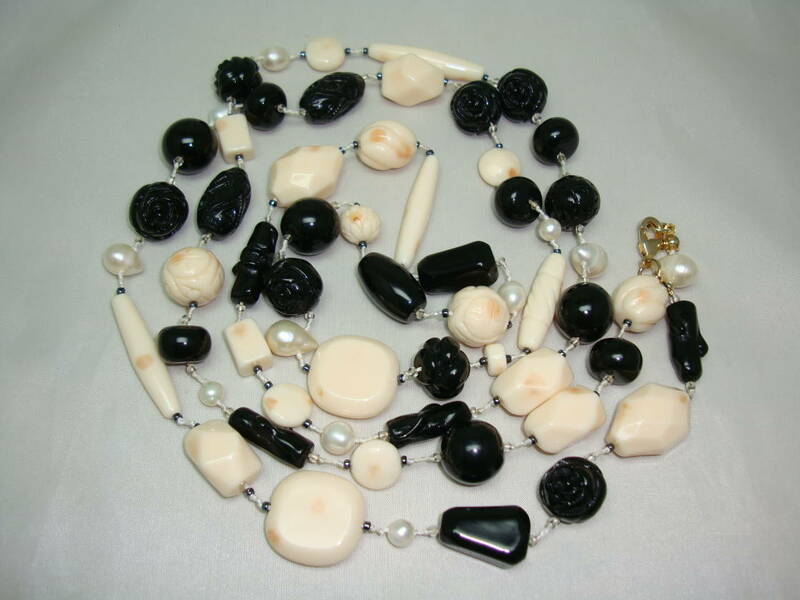 Interspersed with the beads are 12 real cultured pearls in various sizes. 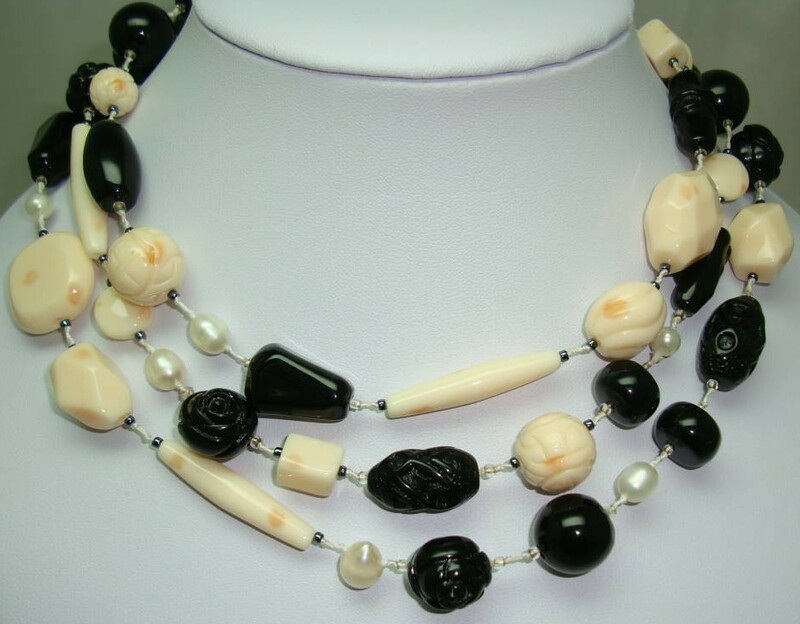 This really is a fabulous necklace which is very versatile as it has a really good length to it at 53 inches, very Art Deco flapper in style. 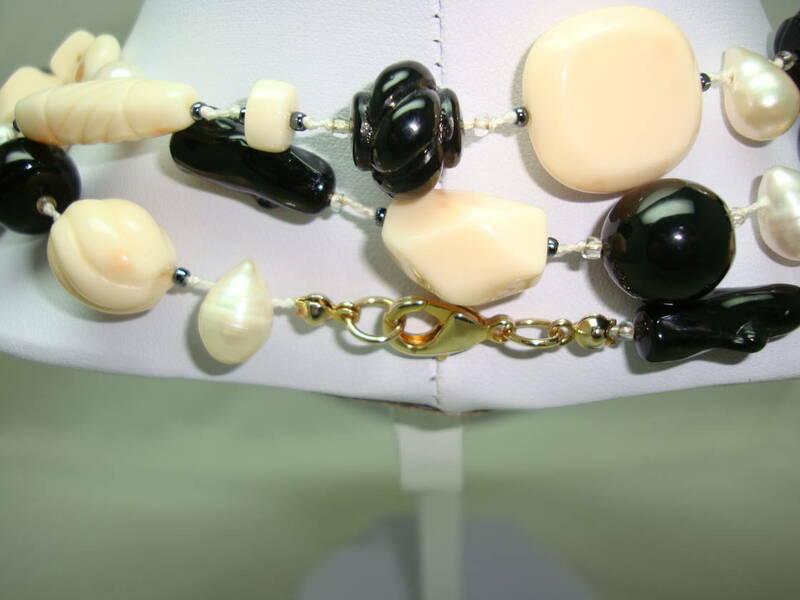 Excellent condition as necklace is a modern piece, fastens with a lobster claw clasp.